MIAMI COUNTY The Tri-County Board of Recovery and Mental Health Services is seeking entries from local artists for its annual Art of Recovery gallery exhibit to be displayed in the Art Gallery at Edison State Community College in Piqua throughout the month of October. Artists who have been affected personally, through a family member or friend, or anyone whose art reflects recovery from mental illness or addiction are invited to participate. Artists display works ranging from painting and drawing to sculpture, mixed media, crafts, photography and poetry. Artists typically reside in Darke, Miami and Shelby counties, although submissions from other counties are welcomed. Many use their art to express personal journeys with recovery from mental illness and addiction, while others have been touched as family members, friends, advocates and service providers. 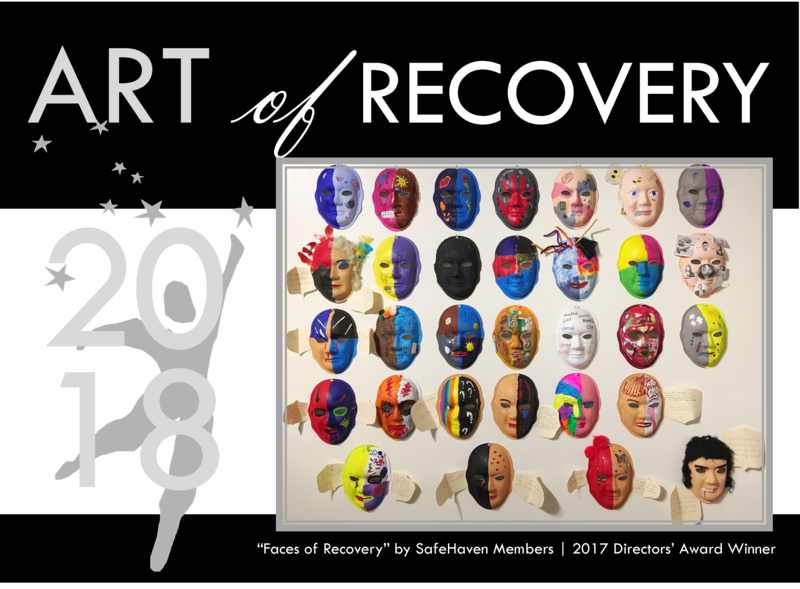 Select Art of Recovery works will be displayed in the Myers-Vaccaro Gallery, East Hall, Edison State Community College, Piqua, from October 1-25. To be considered for the juried exhibit, artwork (photos of large pieces are acceptable) must be submitted to the Tri-County Board by September 24. Artists must submit an entry form for each piece to be considered. An artist’s statement must accompany each piece describing how the piece represents wellness, mental health or addiction recovery. Pieces may be representational or metaphorical, and do not need to be biographical in nature. All pieces selected for the Gallery Exhibit must be made available for display from October 1 through October 25. Submission form and additional details are available at the Tri-County Board’s website, tcbmds.org/art. Art may be in any medium, including but not limited to painting, drawing, photography, sculpture, needlework, crafts, instrumental music, poetry and mixed media. Artists may submit more than one piece for submission, and may elect to remain anonymous at the showcase. There is no fee to enter, and no prizes are awarded. For the gallery exhibit, three certificates will be awarded. Best in Show will be determined by the judges, People’s Choice will be awarded based on popular vote, and the Director’s Award will be selected by Tri-County Board staff for the piece that best exemplifies wellness and recovery. The Art of Recovery showcase aims to increase public awareness of mental illness and addiction issues in an effort to fight the stigma that so often accompanies these diseases. The 2018 Art of Recovery Exhibit will be in conjunction with the Tri-County Board’s celebration of its 50th Anniversary in October. While not a requirement, art pieces that reflect that 50-year history are encouraged. For more information, visit the Tri-County Board’s website or contact Reed at ReedB@tcbmds.org or 937-335-7727 ext 209.